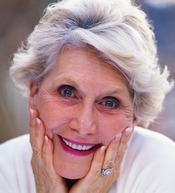 Upper front teeth should be 80% as wide as they are long. Short or long teeth can detract from patient’s smile and may compromise cosmetic restorative procedures in the smile zone. Periodontal plastic surgery enhances the cosmetic appearance of a patient’s smile by surgical manipulation of periodontal (around the tooth) hard and soft tissues. This includes treatment for gummy smiles, ridge defects, gum recession and asymmetric gum lines. When a patient smiles, the inferior border of the upper lip should be at the gumline of the upper teeth. This results in a smile showing the teeth and the gum between the teeth (papillae) only. When excessive gingival tissue is displayed upon smiling, teeth may also have a short or square appearance. Excessive gingival display when smiling may result from a discrepancy in facial proportions, abnormally short upper lip or incomplete eruption of teeth (altered passive eruption). Discrepancies in facial proportions may need to be evaluated by an orthodontist. 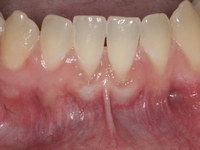 Excessive gingival display due to altered passive eruption may be corrected by Esthetic Crown Lengthening. This surgical procedure utilizes an incision to allow separation of the gum from the teeth, removal of a small amount of supporting bone and replacement of gum tissues to fully expose the crowns of the teeth. This procedure is performed in the office under conscious I.V. sedation (see Periodontal Procedures). Correction of a gummy smile can have a dramatic and long-lasting impact on a patient’s smile. This may be further enhanced in many instances by cosmetic restorative procedures performed after Esthetic Crown Lengthening. When a tooth has been lost, many times the ridge that is left may have a horizontal or vertical defect. These defects may significantly impact the esthetic appearance of a fixed bridge, or the ability to place a dental implant to replace this tooth. Augmentation of ridge defects in preparation for replacing a tooth with a bridge is performed with synthetic materials (alloplast) that do not require stimulation to prevent shrinkage. When augmenting a ridge for dental implant placement, the patient’s own tissues (autograft) or another human’s sterilized tissue (allograft) are commonly used as the donor tissue. Autografts or allografts may resorb (dissolve) over time if not stimulated by an implant. Ridge augmentation is performed under conscious I.V. sedation (see Periodontal Procedures). This type of bone or tissue grafting is very predictable and can greatly enhance the environment for bridge or implant placement. Gum recession is loss of gum tissue so that the root of the tooth is exposed. Recession exposing the root is an esthetic liability and places the tooth at an increased risk for sensitivity, decay or further recession. The primary reason that a patient is at risk for gum recession is thin gum tissue. This is likely an inherited trait. Orthodontic treatment, overzealous brushing or malaligned teeth in areas of thin gum tissue may increase the risk of gum recession. Gum grafting may be performed to thicken gum tissues and/or cover roots exposed due to gum recession. It may be necessary in some instances to use the patient’s own tissue from the palate for this procedure. This method yields excellent, predictable results, but limits the amount of grafting possible with a single procedure and necessitates an additional surgical site. In many instances, banked tissue may be used as a source for grafting procedures. This enables larger areas to be treated in one session, as well as eliminates the need for a second surgical site. Dr. Hammond will perform a thorough examination and discuss which of these grafting options is best suited for your individual needs. 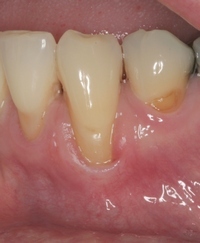 Asymmetric or uneven gingival margins may be the result of several possible situations. It can result from gum recession, excessive gum tissue, malposition of teeth or a combination thereof. The correction of asymmetric gingival margins may involve esthetic crown lengthening, gum grafting or orthodontic therapy, alone or in combination. Esthetic Crown Lengthening is discussed in the previous section on Excessive Gingival (Gum) Display. Gum grafting is also discussed in a previous section on Gum Recession. It is very important to consider correction of asymmetric gingival margins prior to cosmetic restorative procedures. This will result in the most esthetic result possible. An evaluation for cosmetic enhancement includes a thorough examination of the periodontal hard and soft tissues in your smile zone. A comprehensive approach will be outlined to maximize the esthetic result possible with periodontal plastic surgery, while maintaining the overall health of this area. We will also strive to optimize the results achievable with cosmetic restorative procedures by treatment for excessive gingival display, ridge defects, gingival recession and asymmetric gingival margins.